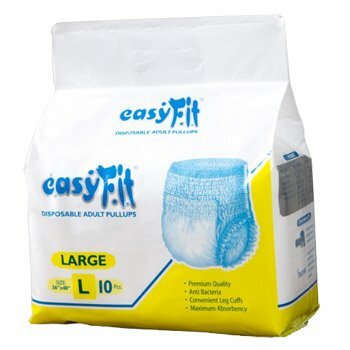 EasyFit Disposable Underwear Style Adult Pull Ups. These Pullup Diapers are Easy to Wear and Take off. 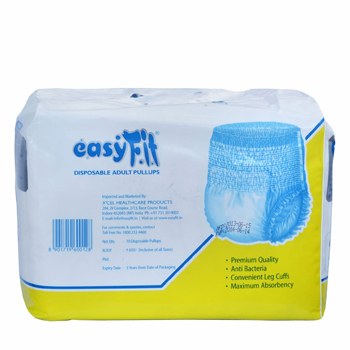 Suitable for waist size upto 36-48 inches. 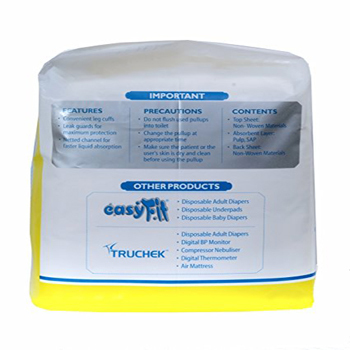 Usage: Patients with incontinence, Post operative care, Post pregnancy period, Patients with old age urinary problems. Precautions: Avoid direct contact of tapes with skin. Do not flush used Pull Ups into toilet. Make sure the patient or the user's skin is dry and clean before using the Pullup. How to use to wear: Pull up the diaper over the legs, either yourself or with the help of caretaker and ensure that it is properly fit and does not get folded over. 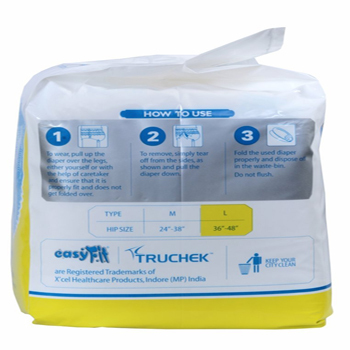 Dispose of the Diaper: To remove, simply tear off from the sides, as shown and pull the diaper down. 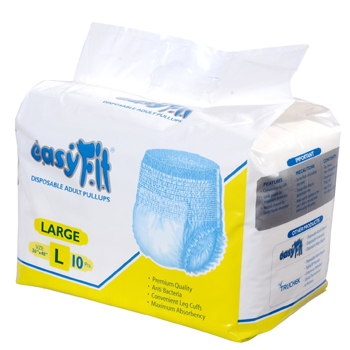 Fold the used diaper properly and dispose off in the waste-bin. Do not flush.